Wow i didnt know Walmart had Vinimates. I myself remember seein minimates at Target before walmart. I hope Target gets minimates again. i never saw minimates at walmart but i think i started collecting minimates with the last wave that target had (i got spider-woman and ghost rider there, i think?). i would love if Target started carrying them again! My addiction started at Target as well. My mother thought it would be cute to buy me toys for my 36th birthday. Six 6-inch Star Trek 'mates later and I was hooked. My addiction started at Target as well. My mother thought it would be cute to buy me toys for my 36th birthday. My addiction started when I had to shoot every Marvel Minimate made to that point in different poses and environments for a price guide and realized they could hit EVERY SINGLE ONE OF THEM. Six 6-inch Star Trek 'mates later and I was hooked. That's what sold me on them, too. I had no interest in block figures. The style was fun but they generally seemed pretty restricted when it came to poseability. Then I got my mitts on those 3-inch Trek Minimates and, yeah, I was impressed. Are things slowing down with "regular" LCS wave planning? If wave 77 hasn't been finalised yet, I don't see it showing up this year. Movies being relegated to box sets at specialty seems to have increased the opportunity for comic waves, since we have three this year and only one last year. Yeah as a comic wave fan I was pleased with the trend of movie box sets only at specialty as I thought that would mean more comic waves. However, it seems to be working out as less waves overall instead unfortunately as the number of upcoming waves announced seems to be decreasing and the gaps between reveals getting bigger. It looks to me like maybe TRU was becoming the main outlet for comic waves which makes its demise even more unfortunate if so. Yes, it makes me wonder about the future of comic waves in general. The decreasing number and the last few seeming to be "budget" waves leave me feeling uneasy. Have the Build-A-Figure assortments been a success? I love those, especially if it gives DST a way to offer a character they normally couldn't. There are definitely less waves this year compared to 2016, for example, but there were three waves in 2017, and only one of those was comic-based. I'm just wondering if, from DST's perspective, if they're seeing more preorders for Series 76 from retailers who stocked Series 75. Was sell though on that wave decent enough for DST to continue the BAFs into Series 77? I think 76 is a stronger wave too even though it's mostly rehashes and parts reuse. It will be interesting to see how it sells. So far I'd find it surprising if the BAF is moving a lot of extra product, Daisy and Shriek don't seem like a big draw (though Shriek is a great pick for that wave). On the other hand I guess I bought a pack I wouldn't have otherwise from 75 so maybe it does help. I think the 75 vs 76 debate relies heavily on your age. People who were actively reading and collecting in the mid 90's would be more likely to respond well to 76. People who have only jumped on recently or were introduced to marvel through the recent Netflix shows would probably lean more towards 75. Regardless of which wave people think was best, I really do hope that DST sees value in the BAF model, and that we continue to see less popular figures getting a chance because of it. I definitely agree we aren't going to get ML-style BAFs, though I notice many people think otherwise in their wishlists. I'm not sure either character has been one DST definitely wouldn't do otherwise. I'm not yet sold on the idea that an additional character is worth losing out on extras for others but time will tell. Yeah - I'm not after big draws. DST use the big draws to sell each 2-pack. I'm hoping for more C-list characters, wacky villains, etc... from DSTs BAFs. Moira McTaggert, Celia Reyes, Gamesmaster, Sienna Blaze, Edwin Jarvis, Jocasta, Machine Man, etc.... would all be very welcome as BAFs in my book. 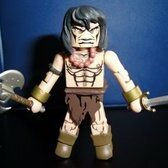 EDIT: Have DST said if they'll be showing any minimates at SDCC this year? Do we have a thread for that? I have heard it was a Canadian only thing for the first few waves. I do remember buying some of the earlier waves from Zeller's (the old Canadian equivalent of Target) though. 75 was a concept that required little new tooling, but I think the concept was the driver, not the cost. TRU Series 26 will ship this year, through other channels, and while that one may have been tooling-conscious, it has seemingly been well-received, for the most part. 76 certainly has some new tooling in it, and a wave I'll announce at SDCC has a LOT of new tooling. We've found another home for comic waves, so hopefully that means more will happen there to supplement what comes out at specialty. Awesome news,....no blind bags though, right? 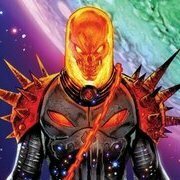 Now that GameStop is carrying comics, I’d like to see that confirmed as well. Now that I have VERY good access to GameStop, I'd like to see these there.